Sauternes is a dessert wine from the Sauternais region of the Graves section in Bordeaux. It is located 40 km southeast of the city of Bordeaux along the Garonne river and its tributary, the Ciron. Like most of Bordeaux, the Sauternes region has a maritime climate and the source of the Ciron is a spring which has cooler waters than the Garonne. In the autumn, when the climate is warm and dry, the different temperatures from the two rivers meet to produce mist that descends upon the vineyards from evening to late morning. 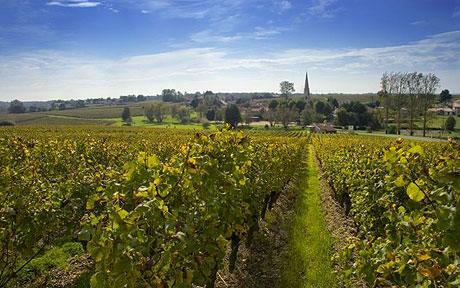 It has five communes— Barsac, Sauternes, Bommes, Fargues and Preignac. While all five communes are permitted to use the name Sauternes, the Barsac region is also permitted to label their wines under the Barsac appellation. The Barsac region is located on the west bank of the Ciron river where the tributary meets the Garonne. The area sits on an alluvial plain with sandy and limy soils. Sauternes is made from Sémillon, Sauvignon blanc, and Muscadelle grapes that have been affected by Botrytis cinerea, also known as "noble rot". This causes the grapes to become partially raisined, resulting in a distinctively flavoured wine. Due to its climate, Sauternes is one of the few wine regions in the world where infection with noble rot is a frequent occurrence. Even so, production can be erratic with widely varying harvests from vintage to vintage. The area can expect 92 days of mist every autumn, but in some years there can be none, while rain can lead to the disastrous grey rot. In years when the noble rot does not develop, Sauternes producers will often make dry white wines under the generic Bordeaux AOC. To qualify for the Sauternes label, the wines must have a minimum 13% alcohol level and pass a tasting exam where the wines need to taste noticeably sweet. There is no regulation on the exact amount of residual sugar that the wine needs to have. For such reasons, the sale price of top sauternes can be very high. 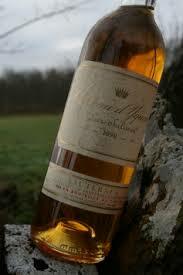 Obscure vintages of Château d’Yquem have been sold for close to £40,000 a bottle at auction. Sauternes are characterized by the balance of sweetness with the zest of acidity. Some common flavor notes include apricots, honey, peaches but with a nutty note, which is a typical characteristic of noble semillon itself (cf. Australian noble (late-harvest) semillon). The finish can resonate on the palate for several minutes. Sauternes typically starts out with a golden, yellow color that becomes progressively darker as it ages. Some wine experts, believe that only once the wine reaches the color of an old copper coin has it started to develop its more complex and mature flavors. 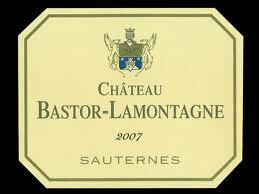 This Chateau Bastor-Lamontagne 2007 is not a best in class Sauternes by any means but nevertheless very enjoyable. Vanilla and apricot on the nose, sweet, sour and fruity with a long, fresh finish. A few more years in the bottle would I'm sure make this even better. The Canadian Ice wines as well as the Sauternes remain my favourite sweet wines.